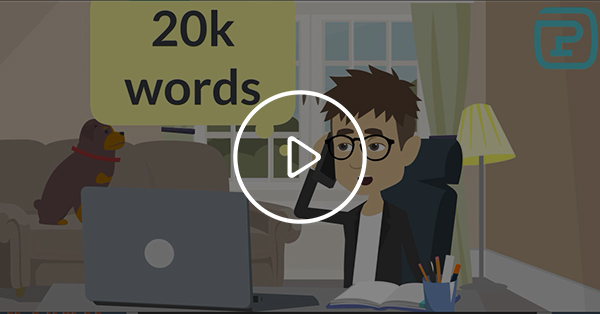 Test translations are performed not only by translators hoping to find work with an agency, but also by agencies hoping to get orders from a new client. Nonetheless, translators are usually the ones questioning or disputing their usefulness and expedience. There are various ways to look for a quality linguist, e.g., based on their reputation and feedback or by having them complete a sample task. A translation test is convenient (for the person conducting it) in that it is easy to automate and, more importantly, because it offers a relatively impartial way of assessing an applicant's skills. It might be worth expanding on this statement a little. The testing process is usually organized as follows. The agency chooses or creates from scratch a text on a topic that the selected translator will be expected to work on in the future. Having received the translation, the agency blindly, i.e., knowing nothing about the applicant's experience, qualifications, age, etc., assesses their competence. The evaluation is based only on the quality of the completed task, which means that there's no need for an individualized approach that scrutinizes the qualities of every single candidate. This ensures impartiality, since it rules out subjective perceptions of the translator. A good CV, recommendations and a portfolio of completed work are assets, tried and true results that translators can be proud of when introducing themselves in professional circles. When an experienced specialist receives a test translation—which will take up valuable time to complete—they may have a lot of questions. Why wasn't the agency convinced by their references on completed translations? Why didn't the potential client check or trust their recommendations? What if it's a scam and they're just trying to get free translations by sending texts out as tests? Will their efforts be adequately assessed? Who will provide compensation for their effort and time if the test is passed and but no jobs are forthcoming? As a rule, an agency has to allocate a particular employee to check tests. This employee’s work will not result directly in any profit for the company, but the work still has to be compensated. 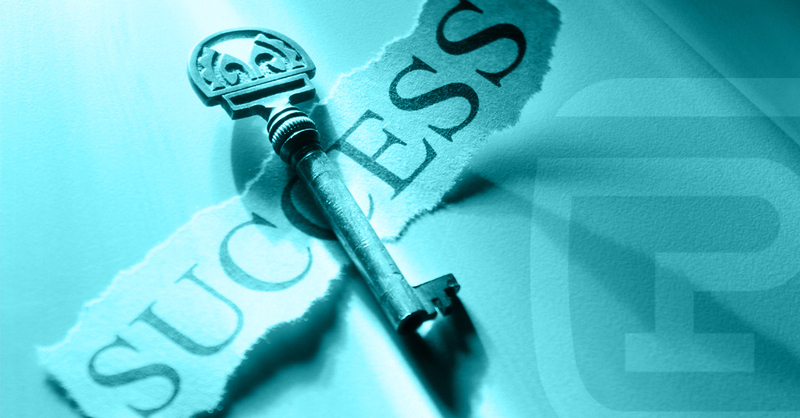 Many job seekers are convinced that you can pass any test on the first attempt and immediately get a job. The fact of the matter is that for every test carried out, an agency sometimes has to check hundreds of failed tests. For their part, agencies may also have a lot of questions. Knowing that their qualifications would be judged based on the test results, why was the applicant so careless? Why did the translator agree to translate a text on a topic they weren't familiar with? How should you respond to messages from applicants who have taken exception to the examiner's decision? How can you minimize the burden put on the examiner? More often than not, the agency's staff simply doesn't have time to explain their decision in detail to every applicant, to discuss mistakes or to provide a detailed assessment. Translators who fail the test don't receive answers to their questions, and then they head to all sorts of forums where they talk about the agency with undisguised indignation. There are often calls to demand payment for taking a test as if it were a typical work order. It is worth noting that the situation when it comes to official tests to certify one’s knowledge of English (GMAT, TOEFL, IELTS), German (TestDaF, Goethe-Institut) or other languages is the complete opposite: the applicants themselves pay—no small amount—to take these tests, and the fee is charged regardless of the result. Applicants who want to receive official confirmation of their knowledge understand that verification requires time and effort on the part of professionals, and no one gets upset about the high cost or the very fact that this is available. Let's call things by their proper names: A company may require that candidates take a test. A translator has every right to refuse. Yes, the translator will have to spend time on the test. Yes, they could use this time to complete a paid job. Yes, they believe that their reputation speaks for itself. If they responded to the vacancy notice, however, then that means that they are still looking for new work. For the sake of fairness, it is worth noting that translation agencies also complete tests for clients and certainly do not always receive work orders from them. There is no compensation for the time spent, and there is no detailed feedback regarding mistakes. There is no sense in getting upset or feeling insulted: clients are trying to find the most suitable agency, and agencies, in turn, are trying to find the most suitable translators. For both agencies and translators, tests are necessary steps in one's career that sooner or later lead to the achievement of one's goals, i.e., getting work orders. Another worrying issue is that of suspecting agencies of running scams. 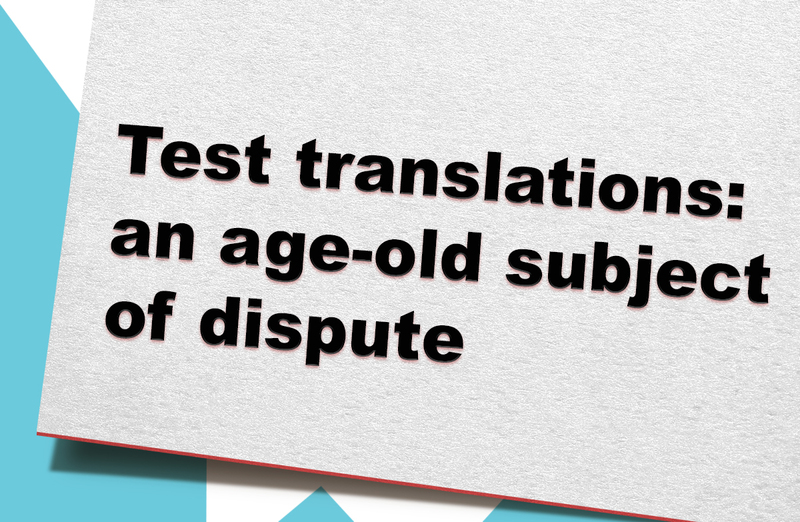 Many translators are afraid that they are doing real work under the guise of a test. From an agency's point of view, this sort of accusation looks ridiculous: the conviction on the part of a translator that you can get a high-quality translation by dividing a large text into several parts, sending them to unknown people and then assembling their "creations" into one whole shows that they're an amateur. Experienced translators don't make such accusations: they look for reviews about the agency online, compare their working conditions, pay attention to their style of communication, etc. Scammers do exist, of course, but sooner or later they end up playing the starring role in online forums and then disappear. Professional agencies that value their reputation and plan to remain in the business for many years to come never engage in such shenanigans. Another typical complaint made by translators when doing tests is the lack of feedback about the quality of their completed translations. The fact is that an agency's staff rarely has time to provide such feedback. Obviously, it would be very useful for a translator to find out what exactly the agency's editor who checked the text didn't like and what aspects the translator should work on. But the agency is not physically able to review every candidate's mistakes with them, especially if one considers that the percentage of downright poor translations among the tests can be rather high. This article is not meant to make excuses or blame anyone. The translation industry is developing, and perhaps someone will come up with a more convenient way to evaluate and select professionals in the future. In the meantime, all that we can do is ask that everyone treat existing processes with a certain degree of understanding. 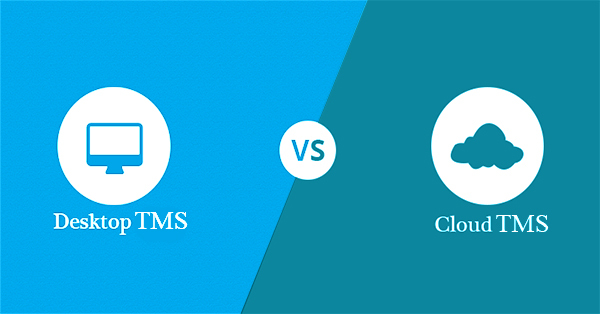 Translation business management systems: online or desktop?